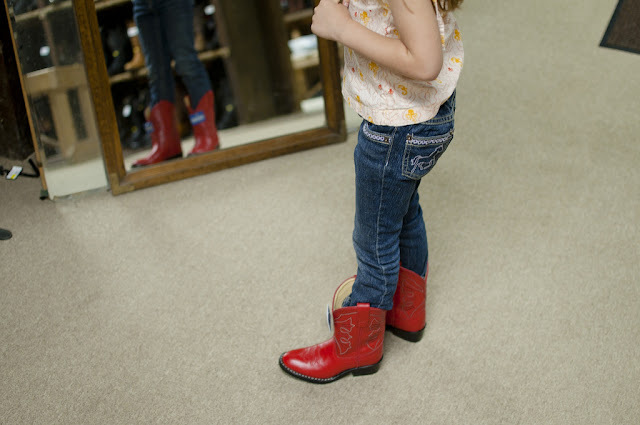 We discovered that my daughter had completely outgrown her cowgirl boots right before her first riding lesson of the summer. 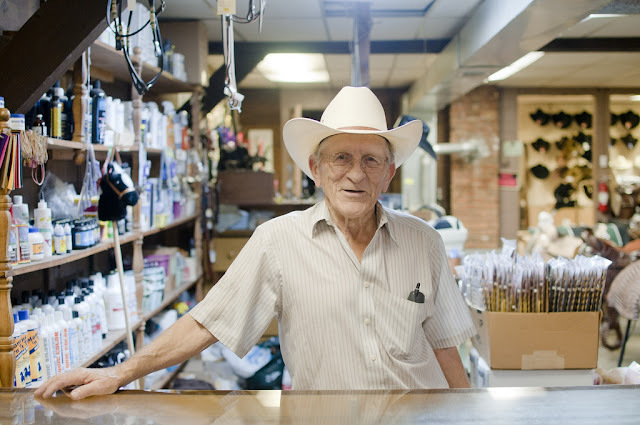 So the other day we headed out to Jacobs Boots & Saddles in Belleville and found Bob the friendly proprietor at the counter inside a converted horse barn in (what had once been) rural Michigan. 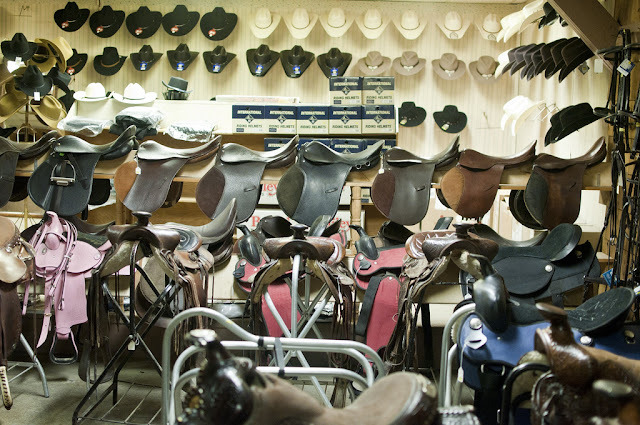 I visited a lot of tack stores when I was younger. I've never had a horse or anything, but I like the smell of bridle leather and just enjoy poking around looking at all the stuff. 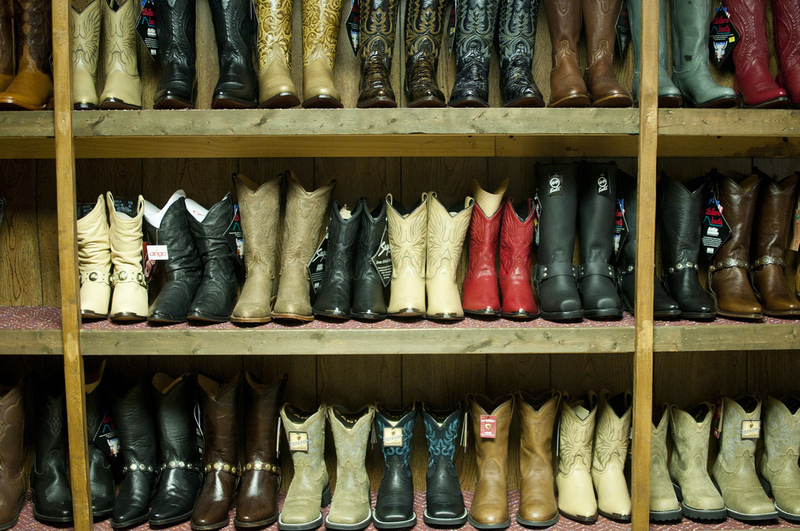 Still, I've never been in a store quite like Jacobs Boots & Saddles. In some ways it was a no frills shop: there were no tacky snap-button shirts, gaudy hillbilly belt buckles, or patriotic t-shirts on sale. No toys other than a couple of simple hobby horses. 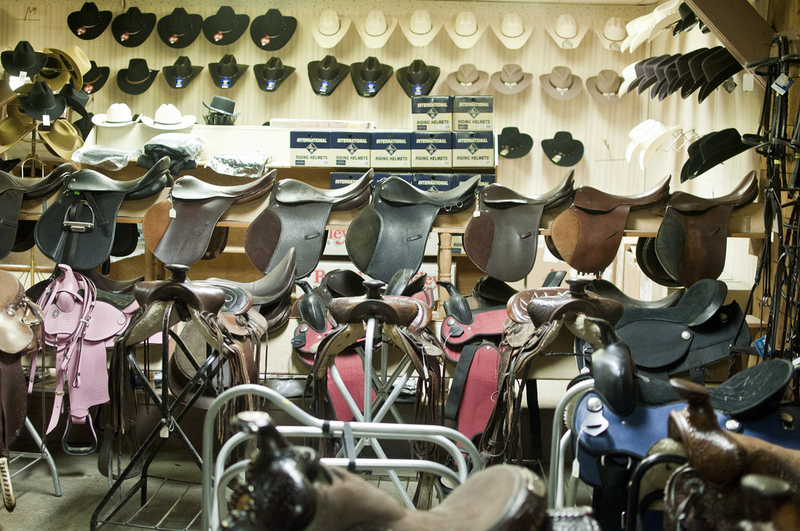 Just tack, saddles, hats, boots, belts, and bolo ties. 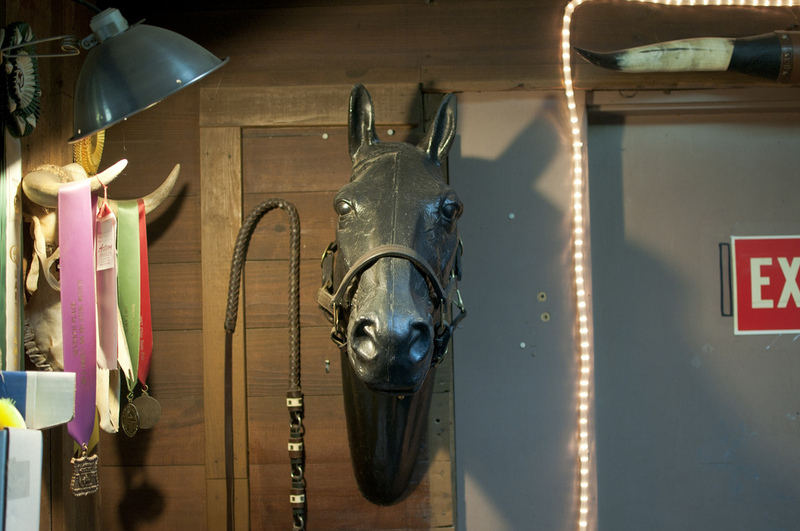 The store is in an old barn and if you need to use the bathroom out back you have to pass the horse stalls to find it. My daughter had a really hard time selecting her favorite pair of boots. In the end, she went with red. Bob and I had a great discussion about shootin' varmints and how he was too old and stubborn to worry much about advertising on the internet. Don't worry Bob, I've got the internet covered.